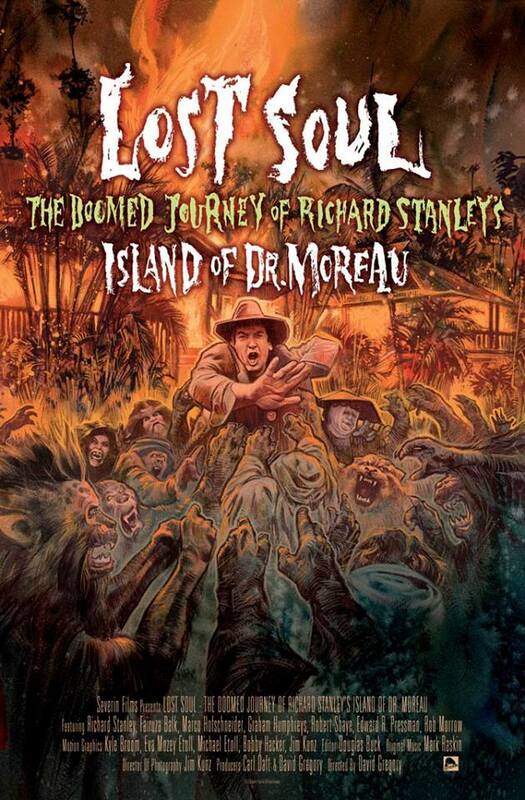 Exclusive Poster Debut: Lost Soul – The Doomed Journey of Richard Stanley’s Island of Dr. Moreau! When I learned David Gregory (Theatre Bizarre, Godfathers of Mondo) had embarked on a documentary that explored Richard Stanley’s time developing the ’90s version of The Island of Dr. Moreau, it instantly skyrocketed to the top of my must-see list. Growing up, I remember reading within the pages of Fangoria about the turmoil Stanley went through. And, as a wannabe filmmaker at the time, I looked at Stanley as this champion – someone fighting the good fight against the studio system to see his film come to fruition. I’m glad to see his story is now being told. This afternoon, Shock is bringing you the exclusive first look at the poster for Gregory’s Lost Soul: The Doomed Journey of Richard Stanley’s Island of Dr. Moreau. That wonderful art you see below is by genre legend Graham Humphreys. The film is going to make its premiere at FrightFest in London this Sunday, August 24th at 6:10pm followed by festival engagements at The Oldenburg Film Festival in Germany and Festival De LEtrange in Paris. More festival dates, including North America, will be announced soon via the Severin Films Facebook page. 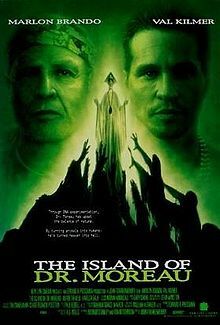 The filming of the ill-fated 1996 version of H. G. Welles The Island of Dr. Moreau is the stuff of legend. For the first time since he was unceremoniously escorted off his longtime dream project, Richard Stanley (Hardware, Dust Devil) reveals in detail his spectacular original vision and how it was all ripped apart at the seams. Cast members including Fairuza Balk, Marco Hofschneider and Rob Morrow, executives and producers Robert Shaye, Edward R. Pressman and Tim Zinnemann, concept artist Graham Humphreys, members of the Stan Winston Makeup Effects team as well as a host of cast and crew members recall the stories first hand of colossal egos run amok, a production way out of control, and how the original filmmaker was banished from the set but wouldn’t let go.